The SUPERTAC-395 black light comes with batteries and MAR-C0 Invisible Blue UV Pen. This is an unique UV light because it can be used with two types of batteries. You can use either two CR123A batteries or one 18650 style battery. If you use the 18650 type of power cell you have the option to get our rechargeable 18650 batteries for this light making it a green, environmentally friendly black light. Our powerful SUPERTAC-395 is ready to inspect any mark on any product or surface. Incredibly strong black light for its size and the best for the price. We include MAR-C0 invisible blue fluorescent pen to get you started in the world of the ultra violet. We include this light with some of our higher end UV stamping kits. You can use this light with any of our clear blue fluorescent inks or paints. Great for pet urine and scorpion hunting. Use with our UVSPORT-Y for enhanced viewing pleasure. Made by High Quality CNC aluminum. 100% Brand New, 5watt UV Violet LED with Tri Chip- wavelength 365nm. Water & Scratch resistance, Toughened ultra clear glass lens. Size: Length 13.3cm, Diameter 3.2cm. 1 Lithium ion battery or 2 x CR123A batteries required. 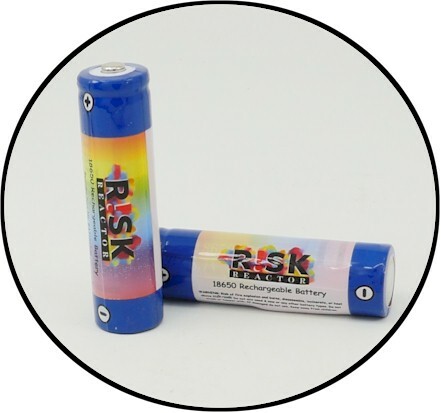 SUPERTAC-395 Black Light UV Batteries. Rechargeable Black Light Batteries for the SUPERTAC-395.